While some people come to work in the financial district for a short time, others decide to permanently relocate to take advantage of all the accessible resources and no property taxes which in turn leads to them purchasing a single home or apartment. Others may decide to rent a home and purchase real estate (i.e. condo) for the limited duration that they are there. When shopping for Cayman property, be sure to work together with a real estate agent that can help you find the home that will meet your needs. Working together with a real estate agent will also provide buyers with a list of properties available on all three islands. In addition, they also help guide buyers through the market with detailed financial information, for example, the perks of not paying annual property taxes. 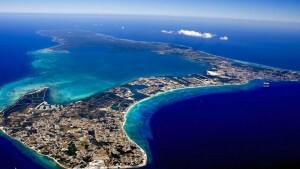 Whether you’re looking to relocate, temporarily reside, or travel, you can’t go wrong with Cayman homes. There are numerous opportunities that are waiting for you. So, get on that phone, book a flight, and head to the most prestigious islands on the Caribbean. Bio: James Bovell is the face of real estate in the Cayman Islands. If you’re looking to relocate to the Cayman Islands or make a real estate investment in Cayman, James can help you find your dream property today.